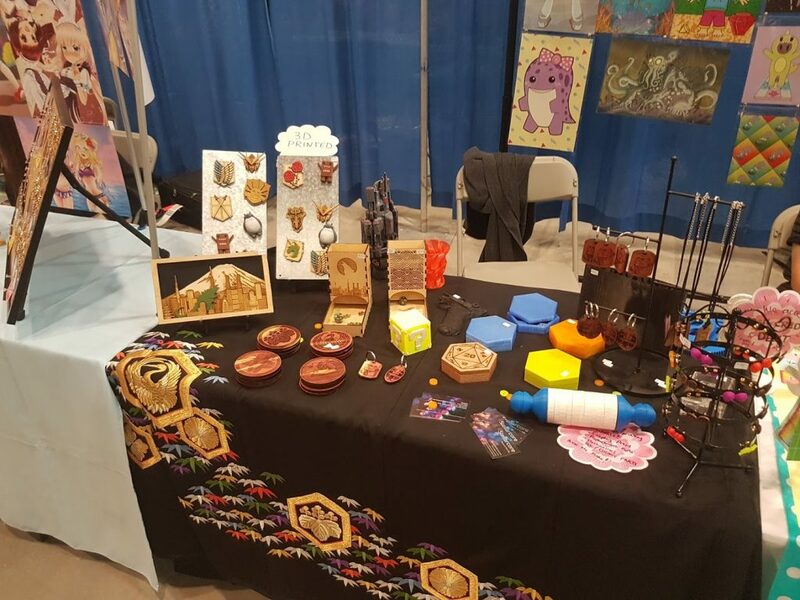 A big thank you to all of the people who visited our artist table in the vendor room at Ai-kon 2018. I met so many great people and saw some great art and costumes. Below are the pictures of some of the pieces that we had at the show. If you found that an item you wanted was sold out, please don’t hesitate to send a message to me using the contact form on our create page with your contact information and the item(s) you would like to purchase. We are located in Winnipeg and can arrange pick-up or the items can be shipped via Canada Post.